Recommended changes to BIA legislature (Municipal Act, Section 217). 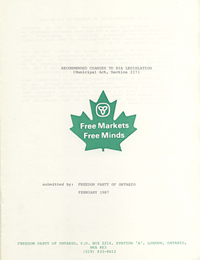 A Freedom Party of Ontario report to the Ontario Legislature. Author not known.